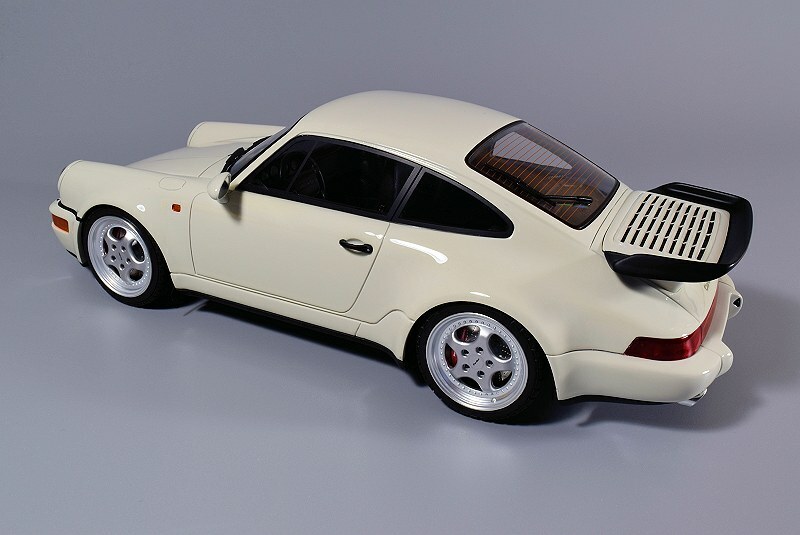 As long as I can remember, I’ve been a Porsche fan. 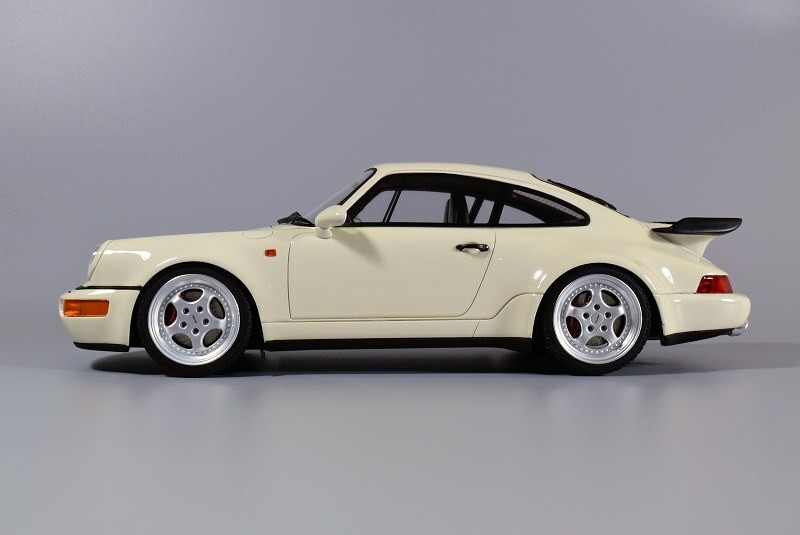 There have been many platforms over the years, but my favourite continues to be the 964. 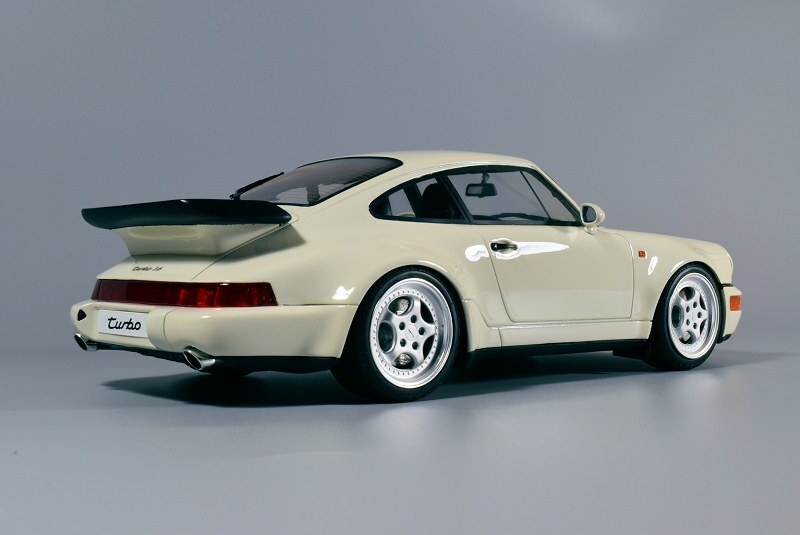 I gravitate to simplicity and grace more than anything else, and the Porsche 964 fits that bill! 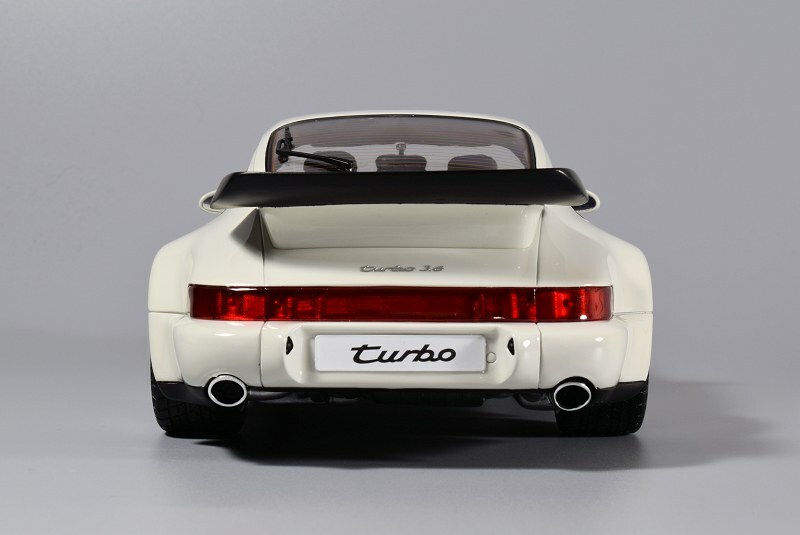 I’ve been patiently waiting for a 1:18 scale replica of the Porsche 911 964 Turbo 3.6. 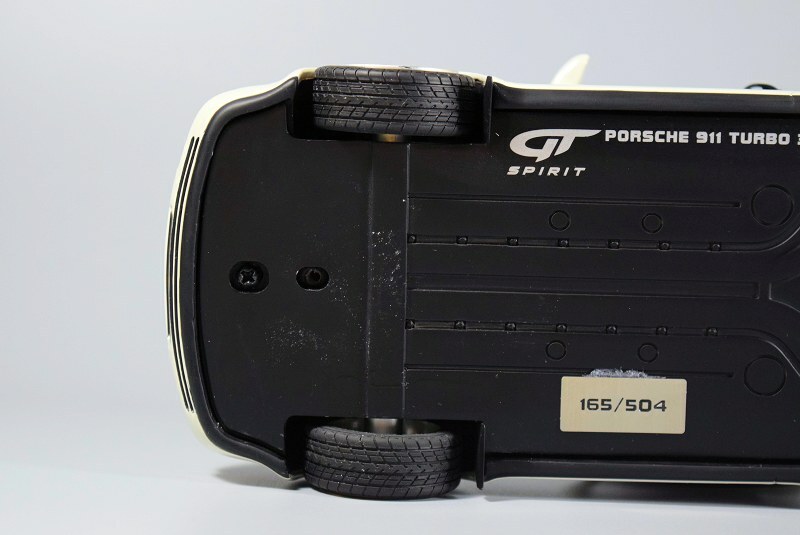 Yes, GT Spirit initially released the 1:12 scale, and later on the Black 1:18 version was issued. 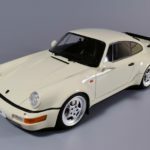 Nothing against Black, but I wanted a colour that wouldn’t hide the beautiful lines of the 964, so when CK Model Cars released their limited edition (504 pcs) version in White, I jumped at the opportunity. 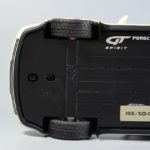 This model is also available through Modellismo and Little Bolide and is manufactured by GT Spirit. 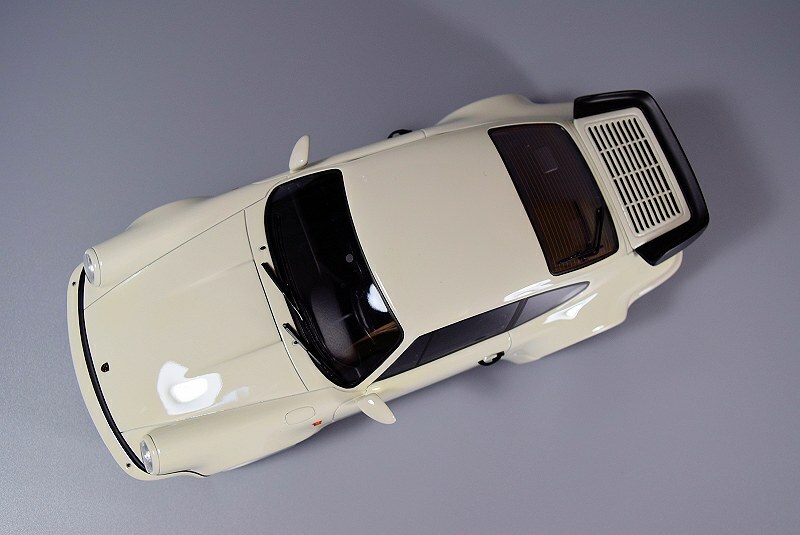 The model itself is stunning, the White exterior with Black accents really brings out the beauty of this Porsche 911 964 Turbo 3.6. The paint is flawless, rich, and full of life. A total 180 departure from the composite works from AUTOart as of late. 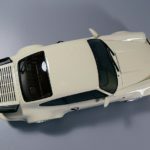 I’m no authority or expert on Porsche, and specifically the 964 platform, BUT I’ll give GT Spirit a thumbs up on the exterior execution. It’s damn good! 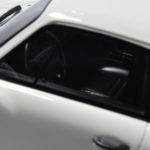 The one flaw is the rear roof line, where it meets the window, there should be almost a small spoiler like scoop or venting, which is not here. As usual with all resin, closed-body scale models, the shut-lines and panel gaps are near perfect. Too perfect LOL. 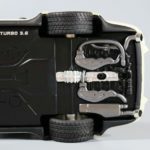 The front of the model features no perforated grilles or photo-etched parts. 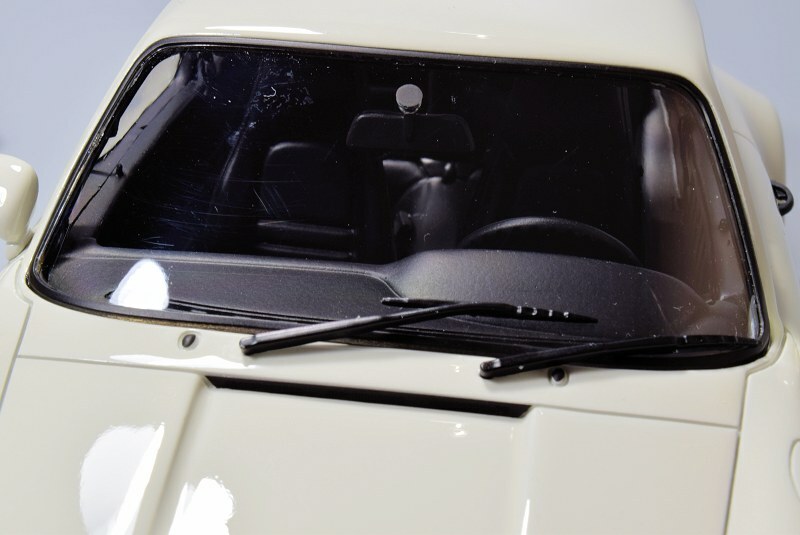 The turn signals and headlights are very nice, and crafted with care. The black paint work on the bumper and lower cooling is executed nicely as well. 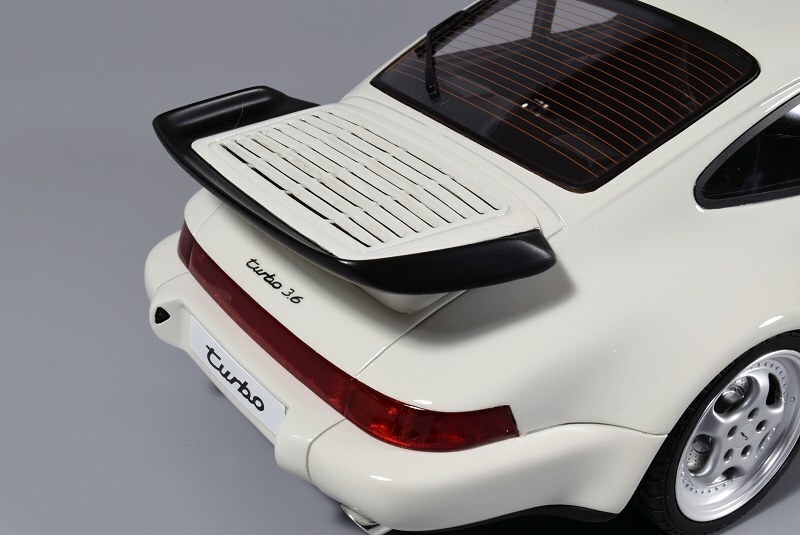 The rear of the model features the famous large duck-bill spoiler; paint work on the cooling vents is nicely executed too. 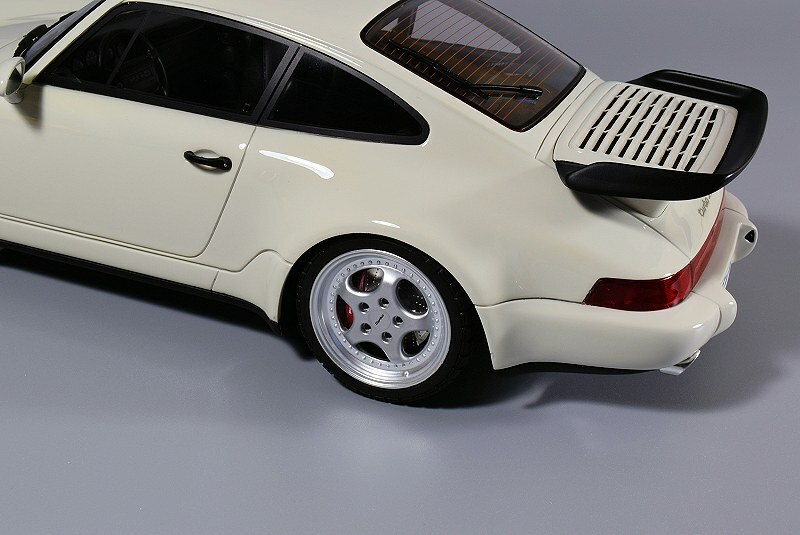 The lower half features chrome exhaust tips, and the entire package is spot on. I can’t speak to the motor and storage as the model is sealed. 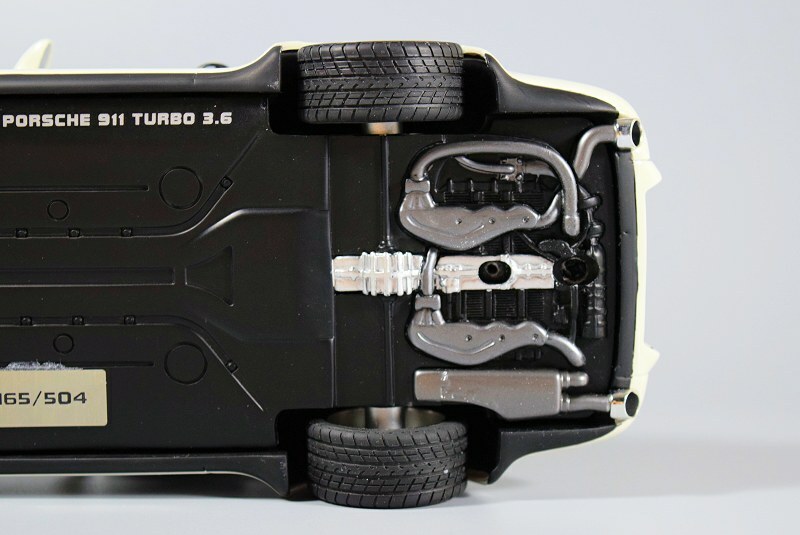 Undercarriage workings and detail is sparse, to say the least. Numbering plate and crude motor and exhaust bits cover it for the most part. 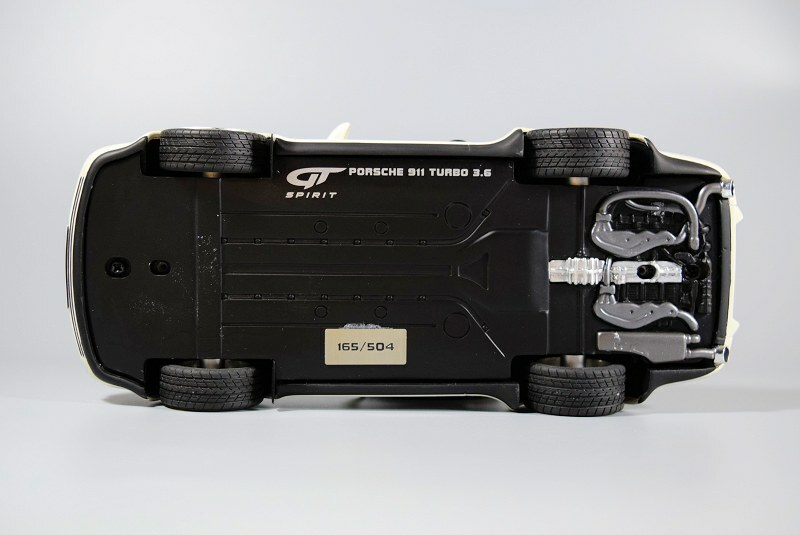 The wheels are nicely executed in typical GT Spirit fashion. 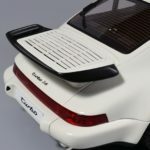 They were taken directly from their 911 (964) Carrera RS 3.8 model that was released back in 2013, I believe their first production piece. The Red calipers work well with the White exterior. Entire package is nicely executed. But the same thing I didn’t like on the 911 (964) Carrera RS 3.8 is what I don’t like today; the tire pattern/thread is too aggressive. 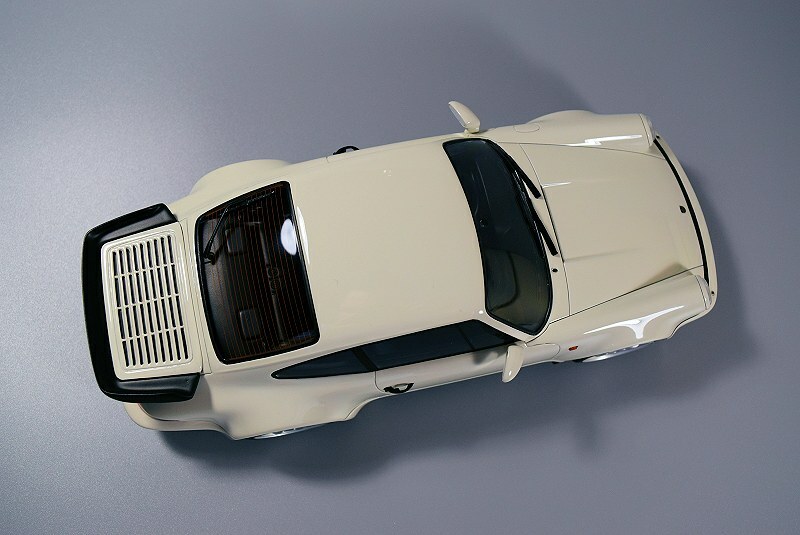 Visually it suits something more like a daily driver or small truck rather than a Porsche. Okay, I know, I’m nitpicking! 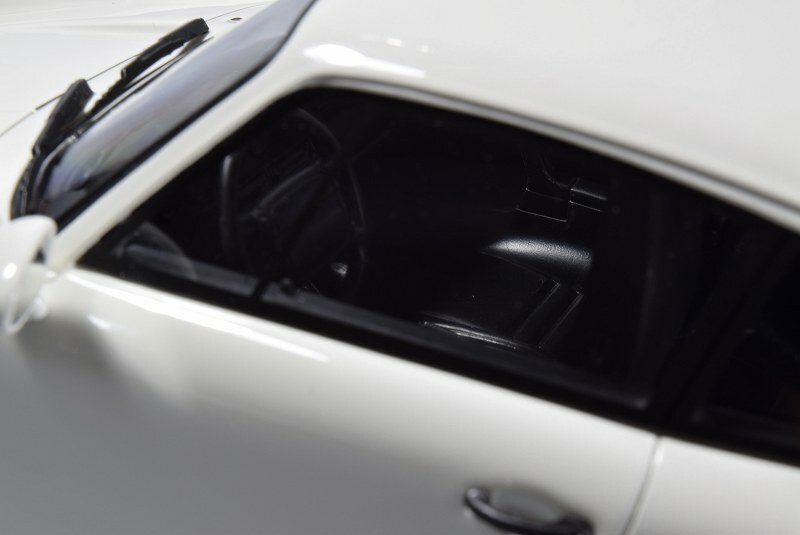 The interior of the Porsche 911 964 Turbo 3.6 is done in all black. All the elements are here from what I can see. There is little to no colour other than the dash instrument cluster and the red found on the seat-belt release. There are fabric seat-belts front and rear, though no carpeting throughout. Not a huge issue since the model is sealed. 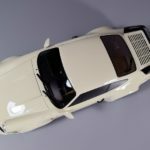 The Porsche 911 964 Turbo 3.6 from GT Spirit is another winner for sure. The model in my view is almost spot on. 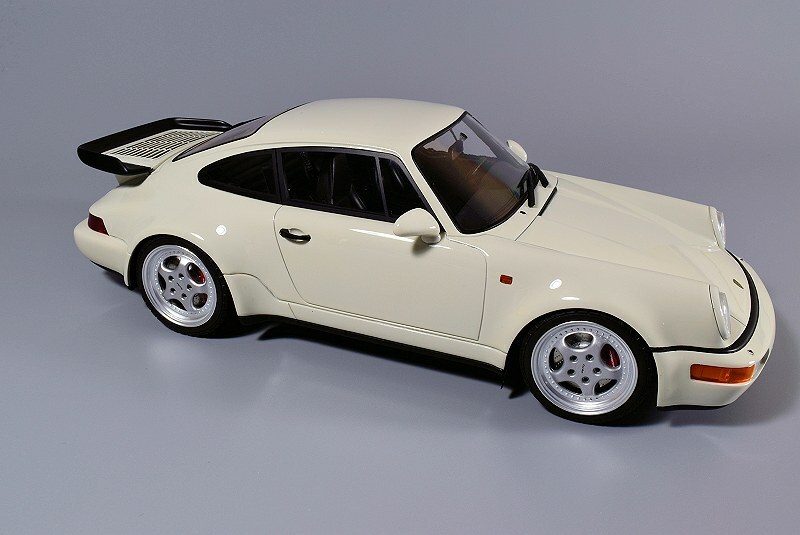 As I always say, if I could change one thing it would be to have this one replaced with diecast with opening bits. 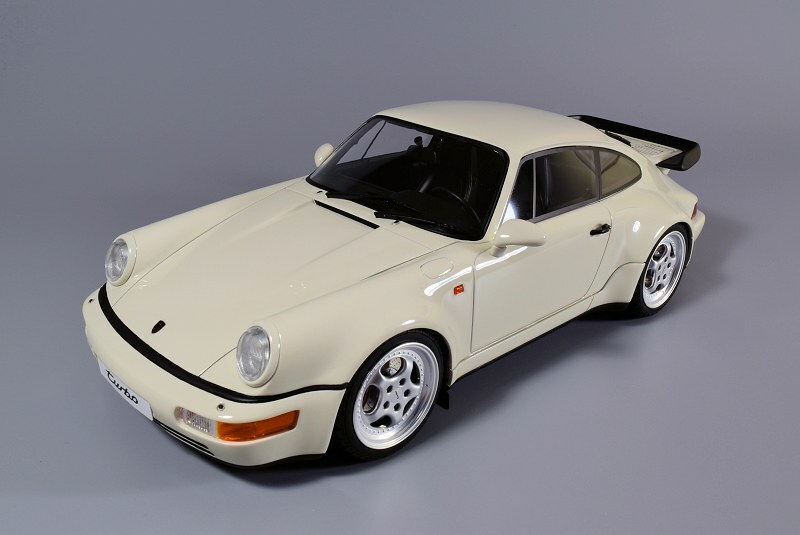 Hey AUTOart, you built the base 964 many moons ago, why aren’t you developing the other 964 variants? Sorry, small rant. This one’s a definite keeper, get one while you can. Enjoy the pics! 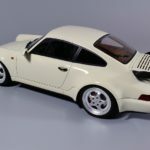 5 Responses to "REVIEW: GT Spirit Porsche 911 964 Turbo 3.6 – White"
Very nice paintwork indeed; pity it’s sealed, though. 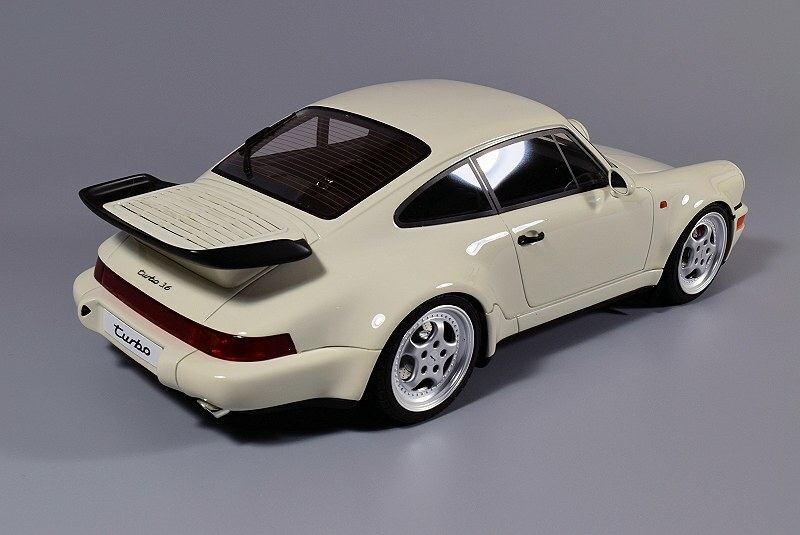 Great model, but the position of the rear window is wrong, It’s too flush with the body. I looks spot-on to me; what do you mean? Where the roof and the rear glass meet, shouldn’t be flush. 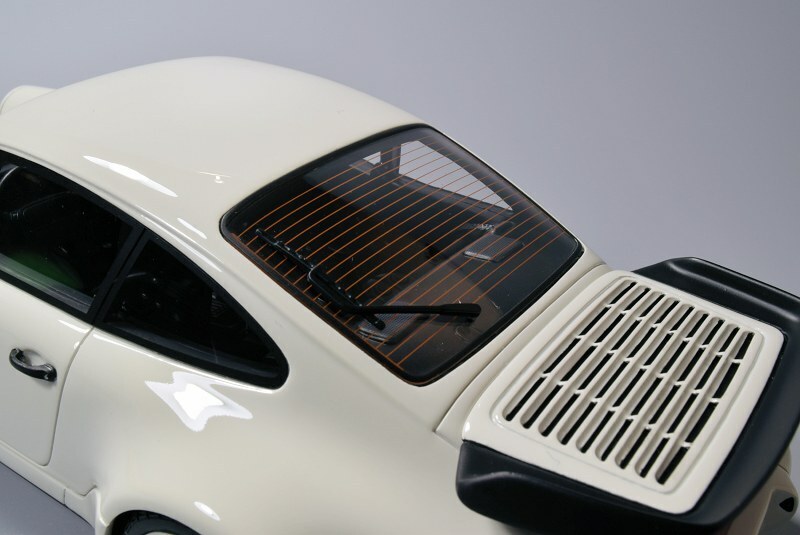 The glass should sit lower and it tapers out leading to the rear wing. 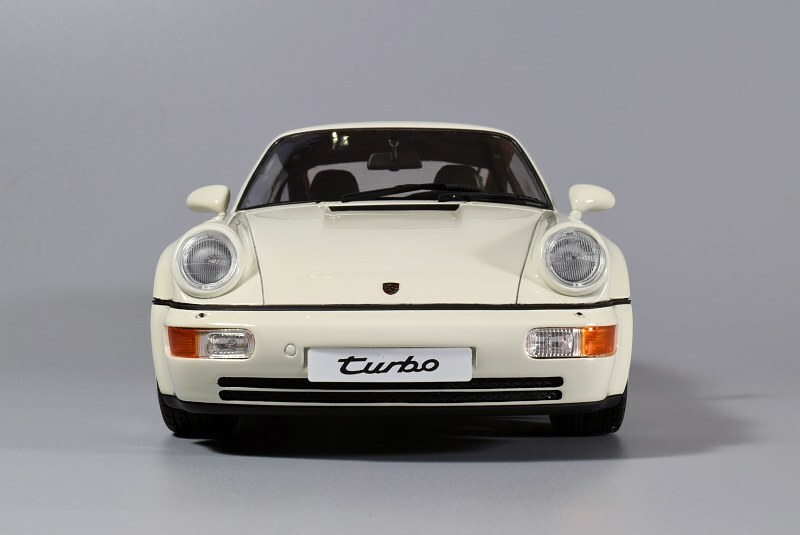 When will the Porsche 911 964 Turbo 3.6 from GT Spirit in white be available ?